Free standing wave screens can be used in conjunction with office screens from the straight top standard price buster range. Delivery is 7-10 days to ground floor locations and is free within mainland UK. These office screens have a three year warranty. 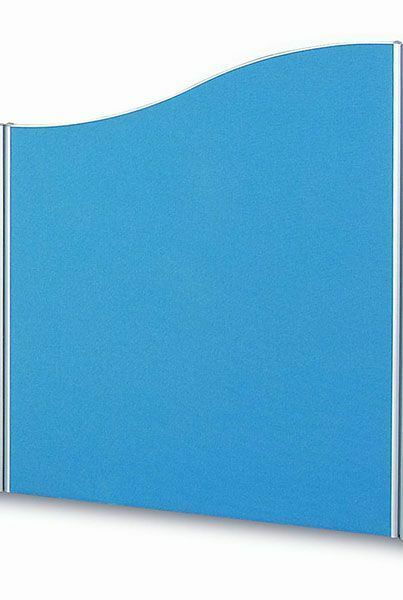 These screens form part of our pricebuster range of office screens and have a wave top that adds a certain aesthetic value to the overall look. Manufactured to a high quality in the UK, these screens are available in a vast selection of colour options as well as a range of different fabric types as well. These screens are manufactured to order, which is why we can offer such a large range of size options and are delivered to any UK mainland address within 7-10 working days. These screens are the perfect and affordable way to section off the office to help create team sections and to aid with privacy.